Our man in Slough is constantly helping motorists out when they put the wrong fuel in their cars and if you are in the Slough area of Berkshire then make sure you call out our very own Slough Fuel Doctor. 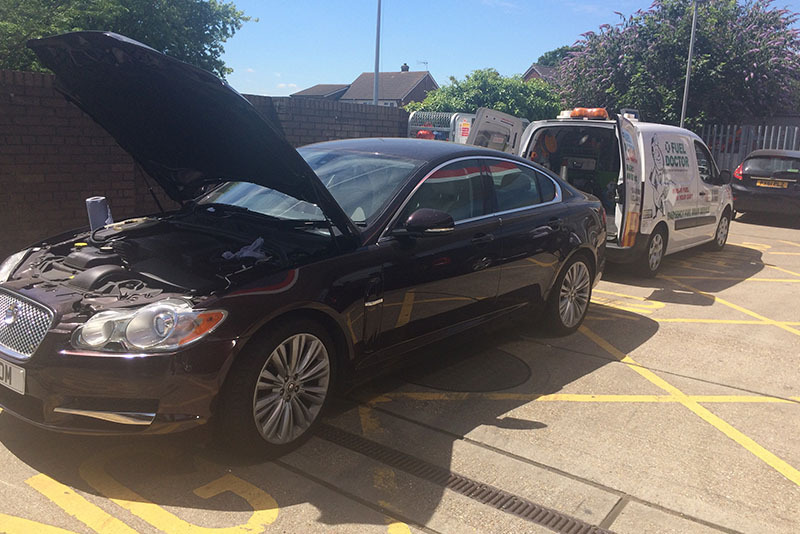 Our skilled wrong fuel recovery technicians are UK wide, but we have dedicated fuel drain technicians on hand near to Slough to rescue you if you put the wrong fuel in your car. It is estimated that 1 person every 4 minutes will put the wrong fuel in their cars and being the largest independent fuel drain company in the UK we can get you back on the road for less than any of our competitors. You may have put the wrong fuel in your car in Slough and either be at the petrol station, made it home or be stranded by the roadside, we recommend that before you call us, that you are parked in a safe spot and not obstructing traffic. If you need to move your car from the roadside then get help, but if you are in the middle of somewhere busy and causing an obstruction then best thing to do is put your hazard lights on and direct traffic round until we can get to you. We aim to be with you within the hour, usually less. We cover all of Slough as well as Dorney, Eton Wick, Stoke Green, Eton, Iver and throughout the whole area of outside the West London M25 area.